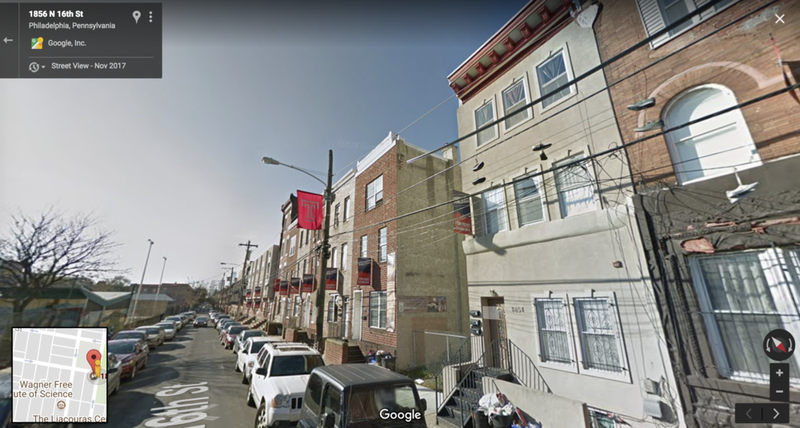 While researching the waves of gentrification in my North Philadelphia neighborhood, I discovered that my apartment along with hundreds of others is built atop of one of the largest cemeteries in Philadelphia. Monument Cemetery was an active cemetery from 1839 to the early 1920's. Temple University purchased the land in the 1950's, excavated the bodies, and destroyed the headstones in order to make room for a new parking lot. 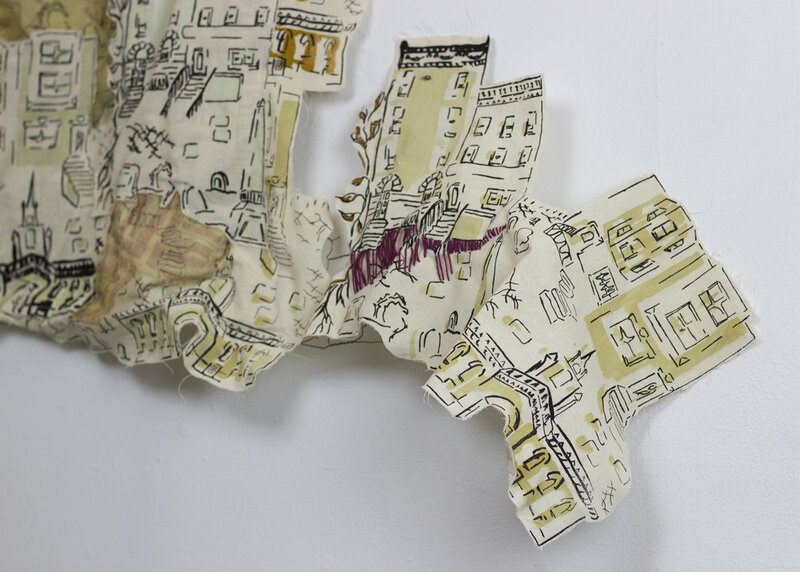 This piece is an attempt to construct a more comprehensive map of my block by including buildings throughout the years. 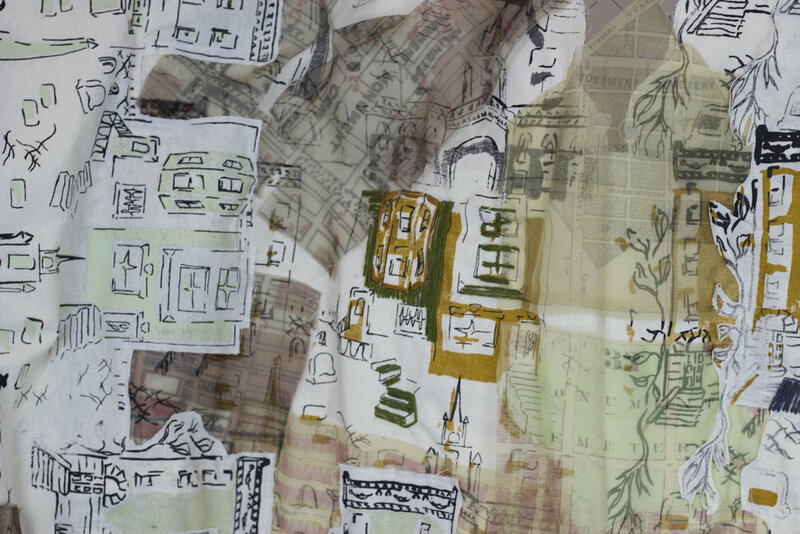 Serigraphy on muslin, digital maps printed on silk organza; embroidery. 36" x 42".